Joining us on the site today is top Sports Podiatrist, Ian Griffiths. I’ve been a fan of Ian’s work for some time and, in particular, his great article on shoe selection was a real eye-opener for me. Ian has been challenging misconceptions around pronation and foot function for some time and recently produced two fantastic systematic reviews, examining static and dynamic foot posture as a risk factor for overuse injury. Today’s guest blog is aimed at clinicians (rather than runners) and provides a great commentary on kinetics, kinematics and key concepts in biomechanics. Follow Ian on Twitter via @Sports_Pod and check out his work on Sports Podiatry Website. It became clear to me some time ago that some ‘biomechanics’ courses being offered (with respect to the lower limb) appeared to be missing the same thing: any actual ‘mechanics’. Furthermore, I’d wager that most undergraduate degrees are also guilty of this (please do remember I look through a UK Podiatry lens though). Alarmingly, I regularly speak to professionals who dislike or fear physics yet happily practice biomechanics. The aim of writing a blog such as this is to try and put some mechanics back into biomechanics and to deliver the controversial news that if you “don’t do physics” then it may be time to choose another speciality. Functioning under the belief that readers of this are likely to already have more than a passing interest I have assumed a certain level of pre-existing knowledge here. However, this topic will be simplified so apologies in advance to those with a very good grasp of this subject already – there may be nothing here for you. If this is all new to you, the beauty of the concepts discussed here are that they are underpinned by unequivocal science (Newtonian physics) and once understood can be applied to any joint of the body, whether that be the big toe, the knee or the shoulder. I will of course be staying firmly within my own wheel house for the duration of the blog and for most of the clinical examples here I will use the subtalar joint (STJ) axis in only one plane, again for the sake of simplicity. I’m sure most are familiar with or have at least come across the term ‘joint moment’ in the literature. But what does that mean? Put simply, a moment is the measure of a tendency to produce motion about a point or axis. It is essentially the measure of a force (a kinetic variable) and that forces tendency to produce motion (a kinematic variable). Note the word ‘tendency’ – an increased joint moment may not result in any observable motion occurring, as we will come on to discuss later. This does bring us back to Newton’s primary tenet that it is forces which drive motion. If an object (whether that be a table, a golf ball, or the human foot) is at rest, then it will remain at rest until an unopposed force is applied to it. If it is accelerating in a given direction, then it will continue to do so in a uniform manner unless a further unopposed force is applied to it. Newton’s first law tells us that without force we cannot initiate nor terminate motion. Therefore, we can apply this theory to the joint axes of the lower extremity and hopefully better understand the implications this may have for human tissues (and why they may be dysfunctional or symptomatic irrespective of the observable ‘alignment’ we have focused on in isolation for far too long). To get my own head around this some years back I found it easiest to place my pen on a desk and then a book on top of my pen. My pen was the STJ axis and the book was the foot. I then thought about pushing the book from underneath (assuming the desk wasn’t in the way) and how this would make the book rotate around my pen. If you do this is becomes very obvious that what side of the pen (axis) you push will be the key dictator for the direction the book (foot) accelerates in. As we are discussing a rotational force here (whether there will be any acceleration in the direction of pronation or supination across the STJ) then it is important to be aware that any joint moment generated will be proportional to the distance of the applied force from the STJ axis (also referred to as the moment arm or lever arm). Put another way, the same force applied at different points on the same foot will result in a different joint moment being generated, and the same force applied at the same point on two different feet is likely to result in a different joint moment being generated. Coming back to the pen and book analogy, you would find that the closer to the pen you pushed the less rotational acceleration you would see, whereas if you pushed at the books edge (the furthest point from the pen) then significantly more ‘moment’ would be generated. Additionally, if you put a row of different books on top of a row of differently positioned pens it makes sense that these would not all behave in a similar fashion if the same plantar force was applied at the same location on each book. These concepts are particularly relevant and important to understand when we consider that we apply these physical laws to all of our patients, each of whom are individuals who will show anatomical variation betwixt them. Joint moments can be further broken down into external joint moments and internal joint moments. An external joint moment is caused by a force acting externally to the body (the main source of external force at foot level being ground reaction force in accordance with Newton’s third law). An internal joint moment is caused by force acting internal to the body (such as the contractile activity of the musculotendinous structures, osseous compression/structural constraint etc). So, for any given weight-bearing activity in any given individual there will always be external pronation moments, internal pronation moments, external supination moments and internal supination moments acting across the STJ. It is the interplay of all of these forces that dictate both the motion around the STJ axis (if any), and therefore the subsequent stress applied to various tissues. The human foot will only pronate if STJ pronation moments (both external and internal combined) exceed STJ supination moments (both external and internal combined). It will only supinate if STJ supination moments (both external and internal combined) exceed STJ pronation moments (both external and internal combined). Technically, the physics of STJ motion is really that simple. Another way it is often described is in the context of a net moment. This is essentially what is left over once all forces are added together. If a net pronation moment remains – the STJ will pronate. If a net supination moment remains – the STJ will supinate. If the net moment is zero (i.e. pronation moments = supination moments) then the joint is deemed to be in ‘rotational equilibrium’ and there will be no angular acceleration (motion) observed; but remember there are still moments acting upon it. All forces have magnitude, a line of action and a point of application. Ground reaction force (GRF) is no different. Although force may be applied to the entire plantar surface of the foot during most tasks, the sum of all GRF can be represented through a single point of application, which is known as the centre of pressure (CoP). Imagine an identical force was applied to the plantar aspect of these feet shown (which would of course in turn cause a shift in the CoP) and this is illustrated by the red spot. Both would cause an increased external supination moment across the STJ as they are medial to the joint axis. Would there be identical joint moments generated? No. A plantar force at the medial calcaneal tubercle in this foot (as shown on the left) will generate a greater external supination moment than the same plantar force applied at the 1st MTPJ (as shown on the right), as it is further away from the STJ axis (i.e. it has a longer lever arm). Next question: would this increased external supination moment cause this foot to supinate (observably)? Not necessarily. But would it still have consequences for tissue loading? Absolutely. Force has to be present to cause motion, but it doesn’t mean it always will. And this is vital to consider when looking at tissue stress, load management and the mechanical effects of some of our interventions. Take a look at the sagittal plane photographs of the ankle in figure 3. In the left image the foot is in contact with the step over its entire surface. The ankle is positioned (roughly) at 90 degrees. The forces within the Tendo-Achilles are unknown but let’s call them X. Now take a look at the image on the right of the same person. The ankle is in a very similar position so is the force within the Tendo-Achilles still X? No, it is greater than X. A change in forces/kinetics (read: tissue load) has occurred with very little kinematic (positional) change. If we look at the physics/mechanics of this, it is obvious that in the image on the right the CoP will have shifted distally (i.e. it will be under the forefoot and thus more anterior to the ankle joint axis) when compared to its position in the same foot in the left image. This will cause an increased external dorsiflexion moment across the ankle joint. If this force was unopposed we know it would “tip the scales” and we would visually observe dorsiflexion occurring. As there is no kinematic change we know that this joint is said to be in rotational equilibrium, and therefore there must be an additional force present to help achieve rotational equilibrium – an equal and opposite internal plantarflexion moment (being generated by the calf complex/Tendo-Achilles) to ‘balance’ the increased external dorsiflexion moment. I briefly stepped away from the STJ there to illustrate how easily these concepts can be clinically applied to other joints and their axes once grasped. It should also turn on a few light bulbs; such is the relationship between internal and external joint moments that there is the potential to change demands or loads on tissues (internal moment generators) by manipulating external moments. More on this later. To recap, rotational ‘equilibrium’ is said to be achieved when there is no motion occurring at a joint axis (the net moment is zero / the ‘scales’ in figure 1 are balanced). Any increase in joint moment will potentially unbalance these forces and result in an acceleration (motion). This motion will continue until another force is applied (this again in accordance with Newton’s first principle). It may well be that the tissues attempts to achieve equilibrium could place them at risk of tissue damage or injury in some scenarios. Let us imagine we have a runner in our clinic and we are performing a video gait analysis. He is running barefoot on the treadmill. His foot hits the treadmill belt and immediately begins undergoing an acceleration (let’s say it visually supinates). One thing we know for sure when seeing this is that supination moments exceed pronation moments at that time (or we wouldn’t be observing supination occurring). At some point shortly after the STJ visually stops supinating. Rotational equilibrium has therefore been achieved and the net moment is zero. There must, by definition, have been an increase in pronation moments. Rather than the traditional focus on labelling or categorising this runner based on their kinematic patterns it seems logical and sensible to instead identify the tissues that have potentially generated these moments; as the demands being placed on them may result in pathology or overload. A very high percentage of the pathologies that walk through my door in clinic are due to poor load management, and it is no surprise that part of the management plan will therefore always be the introduction of appropriate load management strategies. Hunter wrote a lovely summary of the three potential scenarios of how tissue dysfunction can occur in the journal Manual Therapy in 1998 and I’m not sure it has been summarised more concisely since. You can either give an abnormal load to a normal tissue; a normal load to an abnormal tissue; or the worst of both worlds, an abnormal load to an abnormal tissue (my paraphrasing here). So to use an elastic band as an analogy as I do with all my patients, it can be a brand new elastic band but you do something ridiculous with it that it can’t tolerate; an old crusty elastic band that you try and do something very sensible with but it can’t tolerate it; or the worst of both worlds, an old crusty elastic band that you do something ridiculous with (think unconditioned runner after a large hiatus who tries to pick up where they left off in the last case). 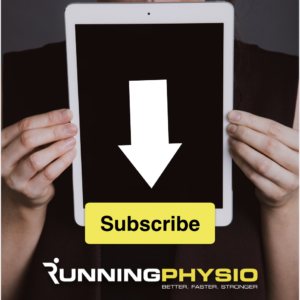 Craig Payne (of Running Research Junkie) talks about having two main options regarding load management – you adapt the tissue to be able to tolerate the load, or you lower the load being placed on the tissue. Clearly what we are bringing in here is tissue conditioning/loading and the principles of overtraining and specific adaptation to imposed demand. So how does this relate to joint moments of the foot and ankle? Alongside the usual strategies (such as telling them to do less!) we have the ability to apply this understanding to our patients/pathologies and decrease tissue stress/load by manipulating external forces and joint moments. Whether this is a short term intervention whilst other things are being worked on, or whether it is more of a long term intervention will, as always, depend greatly on the patient and pathology in front of you. One intervention (amongst many others) successful at changing tissue loads is foot orthoses. Do these have a role in lower extremity pathology? Depending on whom you ask you may get varied answers on that one. What is our goal when we introduce them…? To re-align the skeleton? No. They are acting as a source of external force (joint moment), and their prescription variables (geometry and stiffness for example) will dictate the external force they apply to a foot, and how they alter the CoP accordingly. They may therefore result in absolutely no kinematic change but this does not mean they have not lowered the force on certain tissues (or potentially increased it in others of course). In the images in figure 4 there is an almost imperceptible change in rearfoot alignment (reliability of calcaneal bisections notwithstanding!) regardless of whether the orthosis is in situ or not. Therefore the foot is in the same kinematic position when in rotational equilibrium (which we know it is as there is no acceleration evident). Does this mean the load/stress in the tissues is the same? No. Go back to figure 3 if you still aren’t sure about how forces change with no concurrent visual/alignment changes. If these devices are designed to significantly increase plantar reaction forces medial to the STJ axis then they will exert an external supination moment. If this is unopposed the foot will supinate. If the foot does not supinate then we know there may an equal and opposite internal pronation moment being generated (the exact reason some orthoses designed in this way may cause peroneal symptoms – not because the patient has been “overcorrected” as traditionally phrased). Of course another possibility when considering the ‘balancing’ of these moments is that by increasing the external supination moment a decrease in internal supination moment may occur. This would still result in a zero net moment and rotational equilibrium being achieved, and may be the exact reason why some orthoses designed in this way can successfully offload a problematic Tibialis Posterior tendon (and do not need to change alignment to do so). There are two brothers (we shall call them brother 1 and brother 2) who are almost identical in every way. They are the same height, the same weight and have the same body composition. They are both capable triathletes and use the same coach. They train together and essentially have identical training schedules. They have identical levels of strength and conditioning (and these are very high). They eat together and eat the same thing. The both have a tibial varum. They both wear the same make and model of running shoes. The both adopt forefoot strike patterns with almost identical stride lengths/cadences. On video gait analysis their movement patterns are identical. If you were in the habit of ‘labelling’ what their feet do then you would have to give them the same label. There are however two obvious differences between them. Firstly, brother 1 presents with what he describes as persistent “niggles” in the Tibialis Posterior tendon of his right foot and brother 2 has never had so much as a twinge. Secondly, on examination you note that the axial position of their subtalar joints is different (which is very much to be expected) and brother 1 has a slightly more medially deviated axis (as seen in figure 5). They present in clinic to you together and in the presence of their coach. Brother 1 wants to know why he is getting problems. Brother 2 wants to know why he isn’t getting problems and if he will. The coach wants to know the answers to both brothers concerns. Looking through the lens of a traditional ‘biomechanics’ course what are the explanations for why Tibialis Posterior in the right foot of brother 1 is symptomatic? The brothers do look kinematically identical after all so it seems it would be very difficult to find answers based on this alone. Take a minute to genuinely consider how you might approach this discussion in the consultation. Without applying some of the concepts we have discussed in this blog how do you go about answering these questions? Now, let’s view it through the lens of some of the physics/mechanics we have been discussing. They both have tibial varum and both adopt a forefoot strike pattern when they run (neither of these findings being uncommon in triathlete populations). Therefore their feet will be presented to the ground just prior to contact in an inverted and plantarflexed position. The first point of contact will be the lateral forefoot, around the region of the 5th metatarsal head (the red dots in figure 5). When they hit the ground here it will hit them back with equal and opposite force (Newton’s third law). A plantar force here will generate an increased external pronation moment in both of them which will cause them both to visually begin accelerating in that direction (i.e. pronating) almost immediately. The difference of course is that a larger external pronation moment would be present for brother 1 as he has a longer pronation moment arm due to the variation in his axial position (purple arrows in figure 5). The two brothers both reach rotational equilibrium (i.e. stop accelerating in the direction of pronation) around the same time, hence why their movement patterns at foot level look identical. Q: What tissue is likely to contribute significantly in achieving this equilibrium? A: Tibialis posterior (green dots in figure 5), due to its ability to generate an internal supination moment. However there’s more bad news for brother 1. His Tibialis Posterior has a much shorter lever arm to generate this internal moment, again due to the axial deviation of the STJ. So it’s a bit of a double whammy for him: his Tibialis Posterior needs to generate a much larger internal supination moment than his brothers, and it also has to work much harder to do so. (Think how much harder it would be to open a door if the handle was much closer to the hinges). Despite the brothers looking the same visually, that in isolation tells us nothing about the demands being placed on the tissues. With the above understanding you would hopefully feel comfortable in explaining the fundamental difference to the brothers – their tissues are not being asked to do the same thing! When you embrace individual variation and apply sound mechanical principles it becomes quite clear why Tibialis Posterior in the right foot of brother 1 is getting overloaded. If you apply blanket approaches to patients based on textbook definitions of “normal” then you are often left guessing. Could this also explain the often poor relationships identified when investigating foot posture/function and injury risk? Considering the multifactorial nature of injury, and how our real patients will not all be as identical in every other way as these two fictitious brothers, is it any wonder we don’t understand things better than we currently do? Is Newtonian physics not your thing? If you watch people move then make it your thing. Kinematics alone are not where biomechanics starts and ends, but are not to be ignored either. These concepts should really be applied to multiple joint axes in multiple planes simultaneously. Joint axes are imaginary lines which are not static. The CoP is also of course a dynamic variable. Foot orthoses will alter the magnitude, location and temporal patterns of plantar reaction forces and the static image used (figure 4) was a very simplified example. Whilst we should strive to simplify our language and explanations when talking to our patients it is not necessarily appropriate to do so at any other time; we are unlikely to move our understanding forward if we hold on to old theories just because they are simple. Thank you Ian (and Tom) for the clear and concise explanation above. Physics is indeed cool and it is a delight to read material that does not obfuscate with arcane language as seems so often the case when dealing with the foot. I thoroughly enjoyed the clarity of the mechanical explanations and how the integration of internal and external forces play out. Whilst beyond the scope of the article (but maybe a part 2?). I did wonder how you would go about implementing the information derived for example in the case study regarding brother one into a treatment pathway? One of the things I struggle with (I presume others do also) in this kind of situation is that we are describing what is observed at a moment in time (usually on a treadmill) which does constrain what we observe and requires a degree of extrapolation in order to assert either causation (a questionable practice?) or treatment effects. How do we deal with issues over adaptation and the capacity of the body to adjust to load (SAID). We would potentially seem to be faced with two brothers who should likely follow two different training programs at least to some extent. Do we suggest altered training? Altered footwear? Orthoses? Altered running style/gait retraining? Event choice? Volume reduction? All offer different approaches – which is optimal at this moment? which are optimal looking forward through the lens of athletic performance and which looking outside of that at life outside athletic or at career end? How do we approach these kind of issues that exceed the actual biomechanics observed here and now? Very well written. Enjoyed reading it. Hi Ian, good stuff that all podo-biomechanists should consider. Just to expand on that: Another example might show that it could be the case that brother 2 would have the greatest stress on the medial tissues resisting pronation moments about the STJ and so present with symptomatology where brother 1 does not. Your blog posting presents a very strong and realistic argument for the importance of physics and mathematics in biomechanics that I agree with, follow and mentor others to. Where we differ is that your position seems to imply that foot structure and position and the fact that the foot is a biological structure play little import when it comes to biomechanics. Equating a table, a golf ball and a human foot when a human foot can generate internal forces in addition to the forces applied to it when a table or golf ball cannot seems mistaken. Your admission that your posting represents “a very simplistic modelling of the foot” and that “it (the foot) does not technically rotate like a rigid body around an axis” reduces my ability to accept the rest of what you pen beyond theory as to cause and effect. How does you or Hunter accurately define normal or abnormal when referencing tissues as I cannot? Perhaps a normal tissue can be stiff at one moment and flexible at another and one is normal and th other abnormal? Referencing the foot, you state “Any increase in joint moment will potentially unbalance these forces and result in an acceleration (motion)” without stating that any change in position of the foot will also unbalance these forces. In your Equilibrium example, you state “At some point shortly after, the STJ visually stops supinating. Rotational equilibrium has therefore been achieved and the net moment is zero”. What if the the STJ you discuss has reached its Supinatory End Range of Motion (SERM) yet there is still an additional kinetic supinatory moment being provided by grf stressing the joint? Rotational equilibrium has not been achieved and and the net moment is + for supination in this STJ that has stopped supinating? I could go on but let’s stop here for the sake of brevity and to give you an opportunity to counter my opinion that your point of view lacks architectural engineering and an understanding of the qualities of a biological structure such as the foot when compared to an inanimate object like a golf ball. Thank you, in advance for taking the time to reply. Andy – it’s a great point and certainly would be enough to talk about to warrant a whole blog (would have to check with Tom if he’s keen for a Part 2!) I think this is where the ‘skill’ of being a clinician kicks in and we combine our clinical reasoning with evidence informed practice. When it comes to changing joint moments and subsequent tissue loads it’s absolutely right (as you state) that there are several ways to skin that particular cat. I suspect that a lot of the time we may not know the ‘best’ way and as with most things there won’t be just one solution for each person/pathology but instead an ‘envelope of success’. Dennis – I’ve wasted too many hours of my life trying to have rational discussions with you on Podiatry Arena previously, so forgive me for ignoring you from this point forward. I believe that I have become a more rational debater since my hiatus from The Podiatry Arena. Your call as to ignoring me. I respect your decision. I will continue to post in short and infrequent doses so as not to divert the flow of what is a great blog. Many thanks for taking the time to produce such a nicely put together article/blog. Really enjoyed your musings, very palatable and hopefully it will gain a very good readership amongst undergraduates and other professional members, so far lacking in confidence, or Indeed direction, regarding lower limb mechanics and ‘its’ potential to assist clinical decisions and reasoning. “Simple” is [U]super cool [/U]when we start to consider the use of “simple mechanical machines” in our gait systems, like through the use of levers and incline and declining planes. I will trust that you will look into simple spring lever machines orthoses with your expansive mechanical acumen and no foam predjudices. Here is the final report we produced for the DoD with the assistance of Dr. Benno Nigg and other great mechanically minded educators. SBIR A11-109 Final Report for the US DoD. Read it if you like mechanics. DARPA’s new Google-Boston Dynamic Atlas robot still has flat feet, why? When you state “Therefore the foot is in the same kinematic position when in rotational equilibrium” with or without the device under foot, you are only describing the rearfoot. In actuality, depending on the pose of the forefoot vault and the 1st ray, it is likely that there is an undervaulted forefoot that exists because kinematically (as I see a bit of “too many toes sign” barefoot), the 1st metatarsal is reacting to the dorsiflectory moment produced by grf in stance or at the beginning of midstance. This kinematic dorsiflectory force has a compensatory reaction proximally in the rearfoot that produces a pronatory moment into the subtalar joint. Since the foot you illustrated has a Rearfoot PERM that cannot take it past the rearfoot balance (tipping) point in closed chain (the rigid rearfoot type(, tissue stress builds up in the STJ that can eventually create a partial talotarsal dislocation and eventual, predictable, kinematic change within the rearfoot secondarily. If you treat the forefoot reducing by its the dorsiflectory range of its SERM-PERM Interval you would prevent the 1st ray from dorsiflexing kinematically hopefully repositioning it below the forefoot balance (tipping) point thereby correcting the undervaulted architecture of the foot. Summarily, this makes your statement that the foot is in the same kinematic position potentially incorrect IMHO. Steven D – Thanks for the comments. Steven K – No spam on Toms blog please. Dennis – Stop making things up. Let’s keep things evidence informed please. So much for ingnoring me? Also, why are we working evidence “informed”? Did you make that up? I will comment on your two brother (Brother 1 and Brother 2) example next and then stop posting on this thread for the sake of Tom and others but as to making things up, do these brothers actually exist or did you make them up to prove your point? The fact you have not heard of ‘evidence informed practice’ comes as no great surprise to me. Regarding the brothers, I was not trying to prove anything. I was trying to illustrate something. The fact you think these discussions are about any of us trying to ‘prove’ our points again comes as no great surprise to me. It tempers evidence based practice and concludes: Evidence-informed practice (EIP) should be understood as excluding non-scientific prejudices and superstitions, but also as leaving ample room for clinical experience as well as the constructive and imaginative judgements of practitioners and clients who are in constant interaction and dialogue with one another. My takeaway here is that when you are evidence based but armed with scant high level evidence to back up your “sciency sounding words” or illustrations, you become evidence informed. “both reach rotational equilibrium (i.e. stop accelerating in the direction of pronation) around the same time, hence why their movement patterns at foot level look identical”. In fact, brother 1 would stop accelerating in the direction of pronation much later than brother 2. In addition, brother 2 would begin, after reaching equilibrium, accelerating in the direction of supination before brother 1 ever stopped pronating. Very different movement patterns. You go on to state: “the brothers look (ing) the same visually” when brother 1’s foot is deformed and brother 2’s much more typical of healthy or optimal. If I switch the illustrations. I should not know which brother’s left foot was which according to your “illustration”, but I would. “Could this also explain the often poor relationships identified when investigating foot posture and injury risk”? The answer is no it could not. PS: I accepted your homework assignment and accordingly I define your illustration and conclusions as fictitious and I will monitor from here on unless invited to post. I began by stating: Your blog posting presents a very strong and realistic argument for the importance of physics and mathematics in biomechanics that I agree with, follow and mentor others to. I then went on to discuss areas of grey that exist between us such as the importance of architecture and posture. Instead of responding to my points, you opine my posts “absolute nonsense” reducing the power of your position. Our work, being theoretical and “evidence-informed” contains elements of “nonsense” because neither of us hold the keys to biomechanics on our own. To illustrate my point, you do not understand my use of talar dislocation??? Talotarsal dislocation and the Hyprocure that treats it are taught and practiced in 43 countries around the globe (google EOTTS). Summarily, there are things we all do not know when it comes to biomechanics. I will continue to monitor this thread and interject when needed to defend my “position”. In the meantime, I have patients with partial talar dislocation that need my attention and I have to prepare my lecture and demonstration for The 8th GIII International Conference coming up in April as foot typing is being acknowledged as the starting place for EOTTS. Ian, thank you for an excellent article (Tom, thanks for hosting it!). How are you determining the axis of the subtalar joint. Are you simply doing this by palpation and moving the subtalar jt through available range in a weightbearing position, or is there a particular technique that you use? Is it possible to quantify with physical testing or, or only possible to describe relative position in clinical practice. There are several ways to approximate the spatial location of the subtalar joint (STJ) axis. I first described the palpation method in 1987 which is the most commonly used method and performed while the patient is supine or prone on an examining table (Kirby KA: Methods for determination of positional variations in the subtalar joint axis. JAPMA, 77: 228-234, 1987). This method has been recently validated by two papers from a group of Belgian biomechanists (De Schepper J, Van Alsenoy K, Rijckaert J, De Mits S, Lootens T, Roosen P: Intratest reliability in determining the subtalar joint axis using the palpation technique described by K. Kirby. JAPMA, 102(2):122-129, 2012; Van Alsenoy KK, D’Août K, Vereecke E, De Schepper J, Santos D: The subtalar joint axis palpation technique: Part 2 – Results on reliability and validity using cadaver feet. JAPMA, 104(4):365-374, 2014). The second method by which to assess STJ axis spatial location is a weightbearing method where the examiner finds the center of the neck of the talus anteriorly, and then marks the lateral-superior quadrant of the posterior surface of the calcaneus to then determine the anterior and posterior exit points of the STJ axis, respectively. This method has not been validated. However, from the experimentation of Dr. Simon Spooner and myself with our STJ axis locator (Spooner SK, Kirby KA: The subtalar joint axis locator: A preliminary report. JAPMA, 96:212-219, 2006), these approximated anterior and posterior exit points of the STJ axis are probably very close to representing the true STJ axis exits point within the weightbearing foot, and, thus, the STJ axis spatial locaton. The method of using the points of least rotation, explained and illustrated within the video, is the third method that may be used to determine STJ axis location. This method, of drawing marks on the anterior talar neck and posterior calcaneus to find the points of least rotation was first described by Morris and Jones in 1994 (Morris JL, Jones LJ: New techniques to establish the subtalar joint’s functional axis. Clin Podiatr Med Surg,11: 301, 1994). Can primary forefoot pathology within the 1st ray cause the subtalar joint axis to deviate medially or laterally in closed chain? I can only assume that since the correct answer to my rhetorical question is yes, a response by Kevin would place doubt in the strength of his biomechanical underpinning and logic. Looking forward to meeting some of you in London in October. Physics was never really mentioned or taught on my physiotherapy course (10 years ago, so I guess things may have changed), but reading this has highlighted and reinforced the need for Newtons Laws to be not only included but battered into students. Assessing physical effects of internal and external forces and influences on functional anatomy makes total sense not only in the foot but to all areas of the body. I appreciate this is a simple explanation of a complex topic but for someone that doesn’t have much foundation in physics it is a great starting point. Thank you Ian.